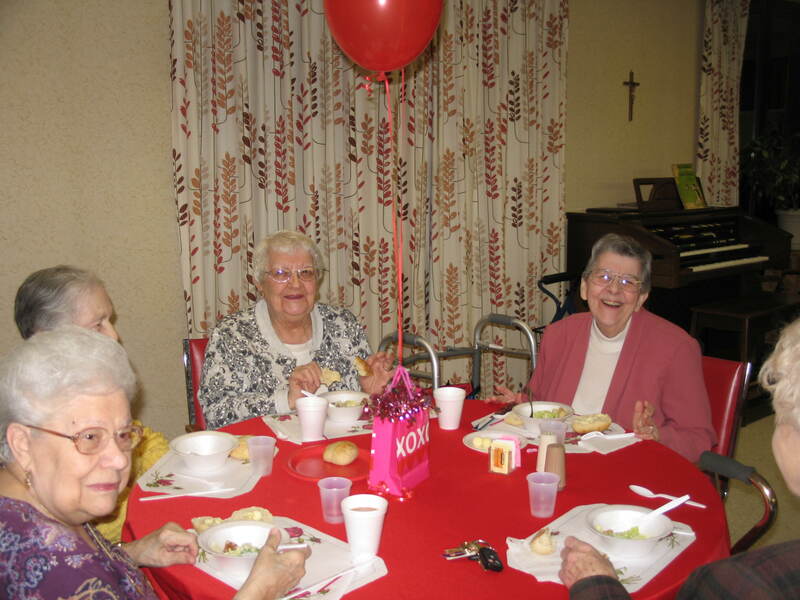 Somerville, Massachusetts – January 24, 2012 - As the 2012 year begins for all of the residents at the Little Sisters of the Poor Jeanne Jugan Residence, Michael Buble is crooning in the background as savory aroma of Salisbury steaks and mashed potatoes swirl the air. Each table bears fun facts of different New York landmarks while the stage is adorned with beautiful skyscapes that could only belong to America’s epicenter. The tables are full of eager and hungry residents, most of whom have never been to New York, but anticipating just a small glimpse of the big apple. On a quarterly basis the kind employees of the Boston Sheraton delight and treat the residents to a different local right down to the costumes. Decked out in aprons adorned with bowties and tuxedo prints, Sheraton employees kindly plated and delivered dinner with a smile and a kind word to each resident. Followed by none other than a New York Style cheesecake with raspberry sauce. After dinner the Hospitality Financial and Technology Professionals Group presented the Little Sisters with a check representing the proceeds from their annual Christmas party held at local hotels around the Boston area. The HFTP selected the Little Sisters of the Poor of Greater Boston this year as their local charity. 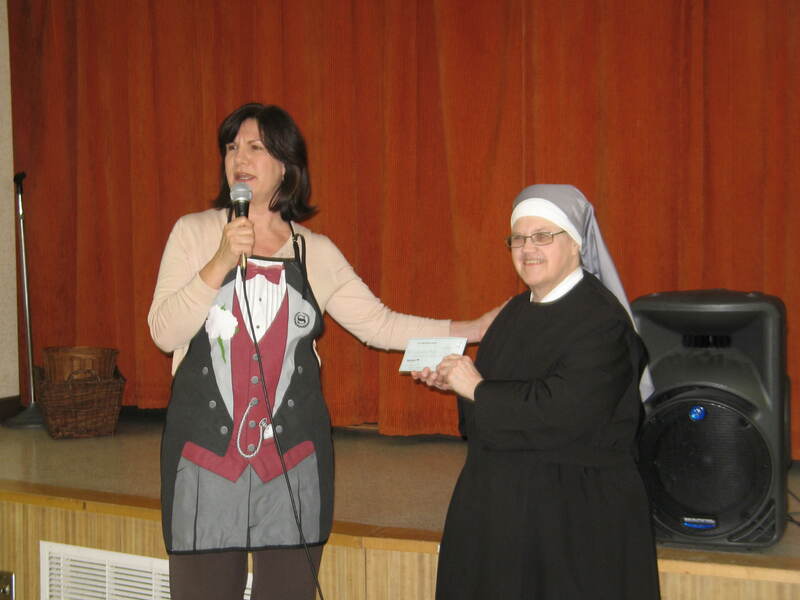 Stephanie Breen, the local chapter President, was on hand to deliver the check to the Little Sisters. The Residents were so touched by the generous contribution and look forward to the next dinner hosted by the employees of the Sheraton of Boston. It is a fan favorite at the Jeanne Jugan Residence and highly anticipated. Many thanks to Alan Lewis of Starwood Hotels and Stephanie Breen of HFTP.